You can categorize your products into groups to help your customers browse them easily. Once you create a product category from the Category Management menu you can assign a product to that category when configuring the product details. There are many more shortcodes available to utilize product categories. See the shortcodes list documentation for details. 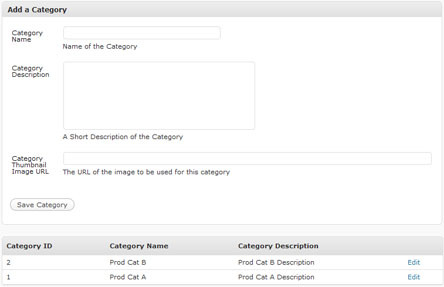 I have created a demo category called “Prod Cat A” and assigned two products to this category. The products are displayed as the following when using the category shortcode. This is a demo product that belongs to Category A for demonstration. Make sure to checkout the extra shortcodes plugin for eStore (see the link above also for this). 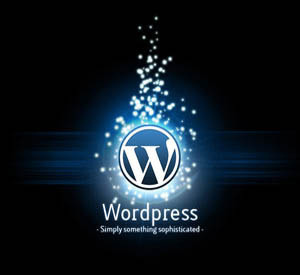 I want to use [wp_eStore_category_products:category_id:1:end], but i don´t like the design (which is shown above). Can I modify the template for this trigger text. (For example I need pictures with 250x188px). In which script I can find this template structure to change it? Hi Scott, For an infinite quantity all you need to do is leave the field blank. For “Quantity” how would one go about making it infinite? Or do I have to put a max number on the product? Easy implementation so far. I used the free Simple Paypal cart before so I think that helped. I’ve gotten handy at customizing the loop in wordpress. Does this plugin create a similar loop? I want to add weight and have that feed to paypal, to show recommended related items using a custom code. With some experimentation, I think I can do this, but I need a starting point. Is there a section of code that is central to displaying products the way the loop is in wordpress? @Alexia, this question has been answered two threads above. Is there a way to have one product listed under multiple categories without having to add it singly each time? Hi Donna, no this is not possible… I haven’t really made the product categorization that robust (something to work on in the future). Okay, thanks for getting back to me so quickly. I couldn’t find a way, but I thought there might be a trick to it. It just means well thought out decisions around the taxonomy for now. But I think different ways of categorizing each product in order to use the category display shortcodes would be a great feature. Can a product be added to more than one category? Or would you have to create multiple (duplicate) products to do that? I have a site with physical products that would have a limited number so it would be best if I could avoid duplicates so that the sold out function will work. Hi TJ, no the category list cannot be sorted. Is there anyway to sort the category list? 2. Display products using a drop down of categories.